Greetings, Groove-ophiles! Last week, we dug on a stack of Giant-Size Marvel covers while they were still in their quarterly phase. Well, by the Summer of 75, the Giant-Size mags were phasing out, doing the job of the old "Specials"--reprinting classic Marvel tales. 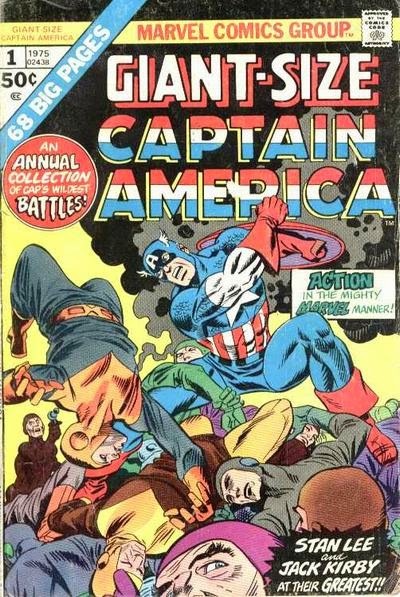 T'wasn't too horrible a thing, though--at least we got one more round of outstanding covers from the likes of Kane, Romita, and Kirby! Wow! I think I had every one of these. I was pretty much a new comer to Marvel at that time, so these were a great introduction for me. Ah, 1975, the year I got bit by the comics bug. 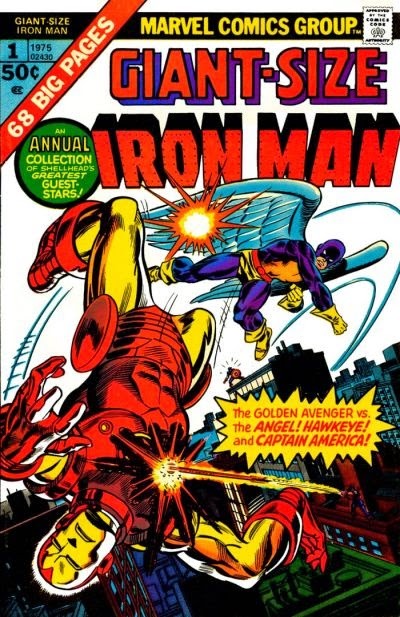 I remember a few of these, but none more so than Giant-size Iron Man - a buddy at school had it and let me read it. 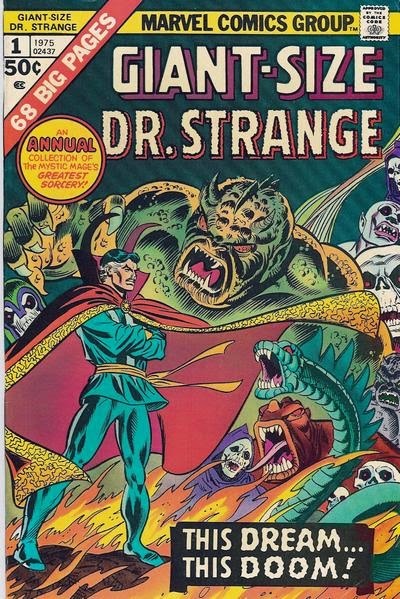 It was my first exposure to Ditko's art, and that cover is seared into my memory. 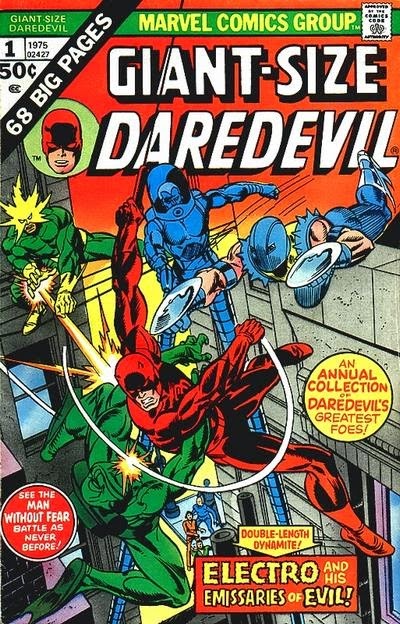 Speaking of which, Kane was really doing over time on these GS covers, wasn't he? Doesn't that small rendering of Cyclops holding Jean predate (and prefigure) the famous Death of Phoenix cover, which in turn inspired use of the same pose for Superman/Supergirl and many others? However, looks like Romita or Buscema tweaked the Conan visage, yeah? Conan's face looks like it was redone by Romita. Y'know, it would have been really interesting to see Kirby's take on our favourite Cimmerian. 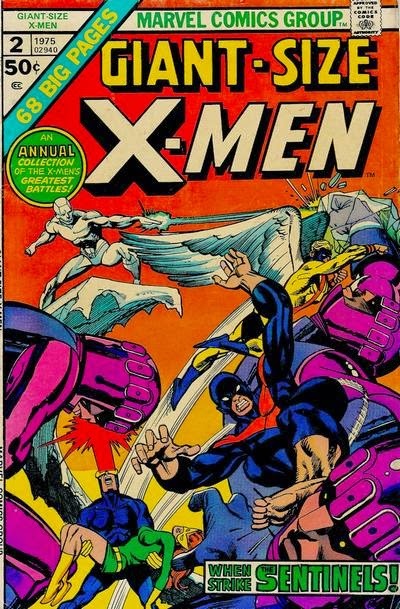 Of all these covers I only have the last one with the X-men. "However, looks like Romita or Buscema tweaked the Conan visage, yeah?" Agreed. 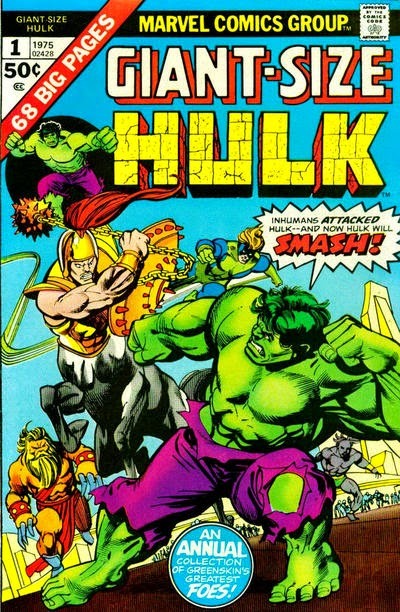 I'd go with Buscema. 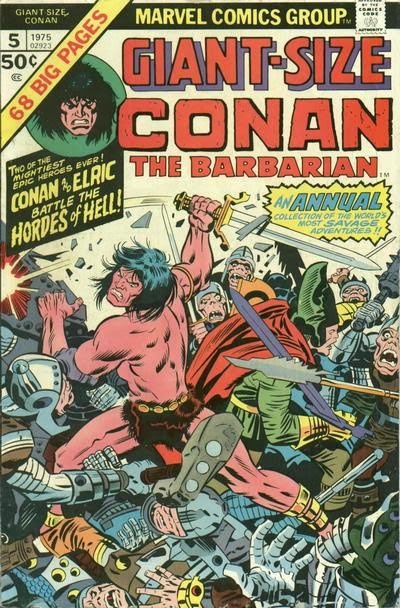 And I was so taken with Kirby doing Conan that I neglected what the reprint stories were. Kirby doing Elric! 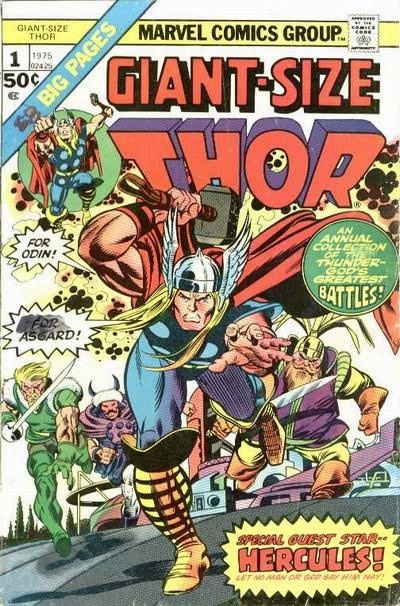 Kirby and Sinnott did the Conan cover, then Romita "tweaked" it--happened a lot during Kirby's second coming... Oh, yeah, a Kirby Conan tale would have been glorious in so many ways! It drove me crazy that so many Giant-Size were reprint stories but those covers were so fantastic it just drew me in as a reader to buy them. That Ironman cover is just Fantastic. 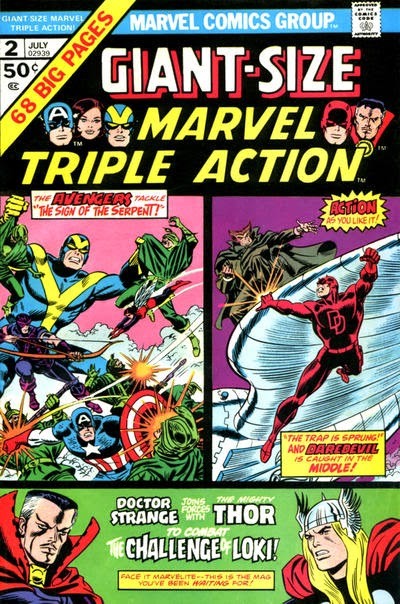 The covers really "pop" and that led me to pick up the Avengers, Xmen and a bout 4 -5 other (I was around 12 at the time). That being said, was anyone else suffering Gil Kane "burn out?" 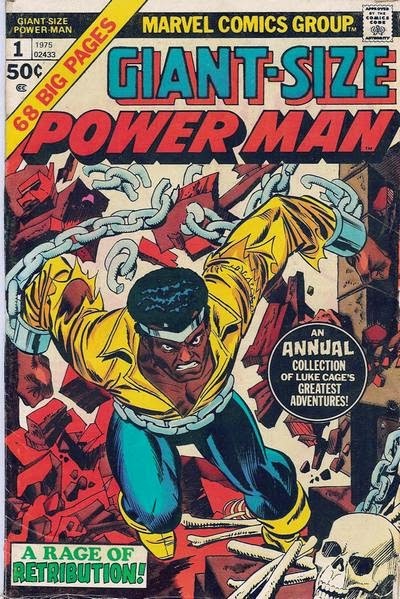 His unique style seemed to be everywhere at Marvel.